LOWEST PRICES IN FLORIDA! BUICK AND GMC SALE TODAY! 30% OFF MSRP AND PAYMENTS FROM $49 A MONTH. 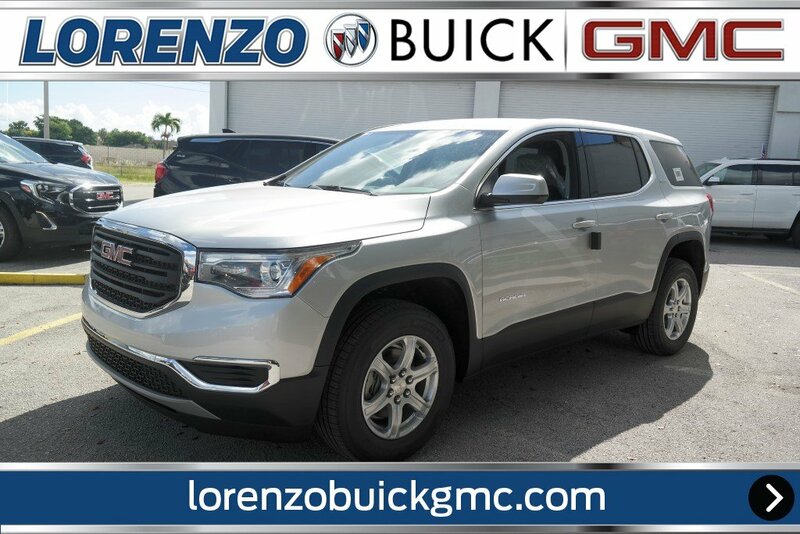 OFFERS VALID ONLY AT LORENZO BUICK GMC 8447 NW 12 ST IN DORAL. Prices include all rebate and incentives with approved credit,visit dealer for details.Scores 26 Highway MPG and 21 City MPG! 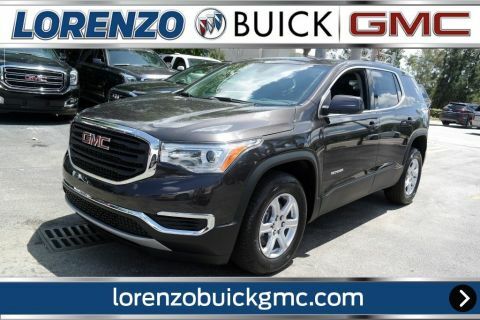 This GMC Acadia boasts a Gas I4 2.5L/150 engine powering this Automatic transmission. TRANSMISSION, 6-SPEED AUTOMATIC (STD), SLE PREFERRED EQUIPMENT GROUP includes standard equipment, SEATS, FRONT BUCKET (STD). 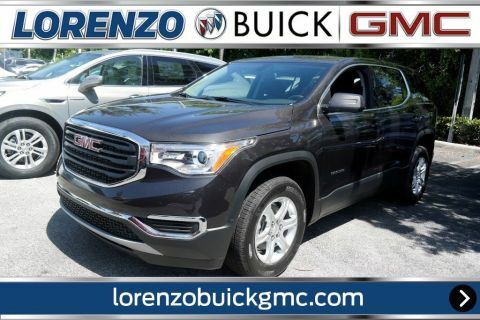 *This GMC Acadia Comes Equipped with These Options *QUICKSILVER METALLIC, JET BLACK, SEAT TRIM, PREMIUM CLOTH, ENGINE, 2.5L DOHC 4-CYLINDER SIDI with Variable Valve Timing (VVT) (193 hp [145 kW] @ 6300, 188 lb-ft of torque @ 4400 rpm [256.5 N-m]) (STD), AXLE, 3.87 RATIO, AUDIO SYSTEM, 7 DIAGONAL COLOR TOUCH SCREEN WITH GMC INFOTAINMENT SYSTEM, AM/FM with USB ports, auxiliary jack, Bluetooth streaming audio for music and most phones, Apple CarPlay, Android Auto and voice-activated technology for radio and phone (Includes (U2K) SiriusXM Satellite Radio.) (STD), Wipers, front intermittent with washers, Wiper, rear intermittent with washer, Windows, power with driver and front passenger Express-Down, Wheels, 4 - 17 x 7.5 (43.2 cm x 19.1 cm) aluminum, Wheel, spare, 18 x 4.5 (45.7 cm x 11.4 cm) steel. 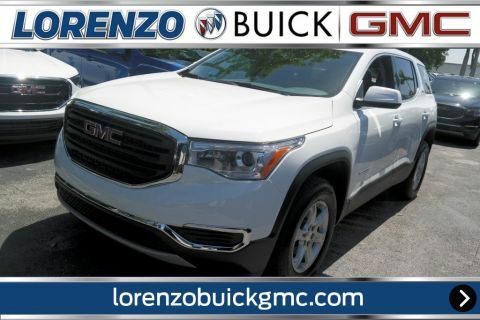 *Visit Us Today *Stop by Lorenzo Buick GMC located at 8447 NW 12th St, Miami, FL 33126 for a quick visit and a great vehicle!